02 Dec 2016 --- The Sustainable Vanilla Initiative (SVI) aims to improve vanilla bean farmers’ livelihoods and assure the long-term stable supply of high quality natural vanilla. This voluntary food, flavors and fragrances industries program liaises with vanilla exporters, producers, sector organizations and public authorities worldwide to progress issues of governance, traceability, labor rights and technical assistance to grower groups. 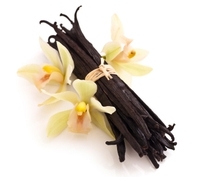 In recent years, the international vanilla bean market has faced challenges of falling quality, price volatility and insufficient product traceability. The Sustainable Vanilla Initiative hopes to bring innovative solutions to these market challenges through a comprehensive holistic strategy addressing social, environmental and economic issues inherent to vanilla’s complex supply chain in producing countries. While continuing to attract new member interest, the initiative currently has 20 members ranging from major consumer goods manufacturers and global flavors and fragrances companies to international vanilla bean traders and cooperatives selling vanilla extracts. Collectively, members represent over 70% of worldwide vanilla bean purchases and have initially focused their efforts on collaboration with Madagascar, which currently represents more than 80% of world supply. Participating companies share a commitment to pre-competitive projects to improve quality, product traceability, good market governance and the livelihoods of smallholder farmers who form the foundation of the global vanilla bean trade. Although only launched in 2015, the SVI has been very active. Last year, it contributed to the development of a Code of Conduct for Malagasy vanilla market participants which was signed by Madagascar’s Prime Minister and more than 40 vanilla exporters. In April 2016, the SVI organized a conference in Paris bringing together Malagasy government officials, representatives of Malagasy vanilla bean growers, collector and exporter groups as well as international companies to agree plans for market reform. This meeting was the first of its kind in more than 20 years. The outcomes included a joint declaration by participants to build a more vibrant market by providing structural incentives for consistently high quality product, sustainable market practices and improved vanilla grower livelihoods. More recently, the ILO in collaboration with SVI was awarded a grant of USD 4 million by the U.S. Department of Labor to further pursue work with its Malagasy partners in the areas of sector governance, traceability, safeguarding against child labor and technical assistance to grower groups.